From New York Times best-selling author Yoon Ha Lee. The shattering conclusion to the Hugo Award nominated Machineries of Empire series! 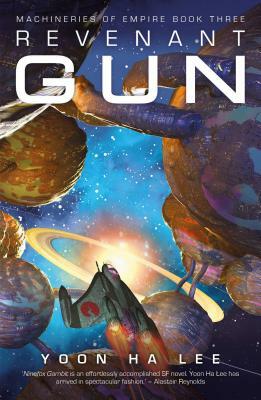 Yoon Ha Lee's novel Ninefox Gambit came out from Solaris in 2016 and quickly garnered massive critical acclaim and was short-listed for the Arthur C. Clarke, Hugo and Nebula Awards. It won the Best First Novel Award in the Locus Awards and the Reddit Fantasy Award. His story collection Conservation of Shadows was released by Prime Books in 2013. He lives in Louisiana with his family and an extremely lazy cat, and has not yet been eaten by gators.